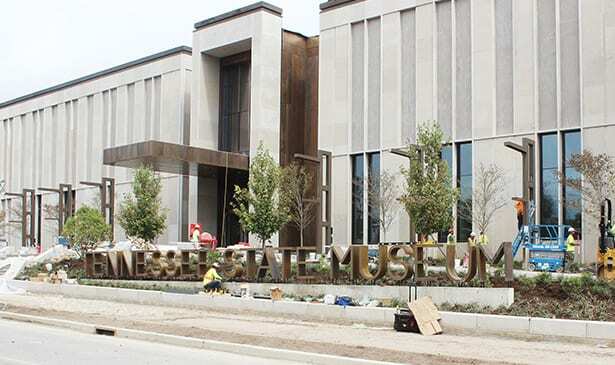 The Tennessee State Museum’s new building was receiving some finishing touches prior to its opening on October 4, 2018. Photo by Russell Rivers, Jr.
NASHVILLE, TN — The new Tennessee State Museum at Bicentennial Capitol Mall State Park is now open and ready for business. 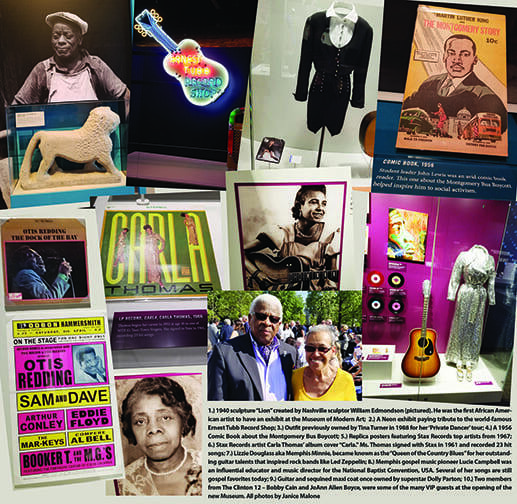 Last Thursday, the new Museum officially opened its doors to the public today with a ribbon cutting ceremony, comments by political dignitaries, Museum officials, and performances by area musicians and the participation of local schoolchildren. Governor Bill Haslam was joined by Tom Smith, chairman of the Douglas Henry State Museum Commission; Ashley Howell, executive director of the Tennessee State Museum; Drew Holcomb, singer-songwriter; students from the John Early Museum Magnet Middle School; the Tennessee State University Aristocrat of Bands; and U.S. Senator Lamar Alexander, delivered the keynote address.